cabi Scoop back in San Diego! cabi Scoop is back in San Diego and I cannot be more excited to see the unveiling of the Spring 2017 collection on the runway! There's no runway like a cabi runway- it's high energy, with great clothes, models of diverse sizes and great music! But why just take my word for it? You can watch it too through the Fashion Show broadcast airing 1/13! All you have to do is register here and you'll be able to join in on the fun (and make a list of all the beautiful clothes you want to get your hands on) using this link! 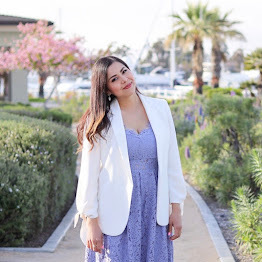 In case you aren't familiar with cabi, I've been showcasing cabi clothing and the many reasons I love cabi throughout the years (from cabi blogger day to the last cabi Scoop here in San Diego to the one I was able to attend in Boston). Also, make sure to follow along on Instagram and Snapchat as I bring you inside cabiScoop this Thursday! And don't forget to see the full runway show broadcast on 1/13/2017 here! I'm loving this long sweater! I have an obsession with black & gray and this one is perfect! Me encanta. I love the aviators and your booties, so cute! looks so amazing love ur shoes! xO!